When preparing an offering memorandum for a prospective real estate capital raise, the preparer may often assume that the investor has the burden of conducting a thorough and diligent inspection of the opportunity. However, this is an incorrect presumption. An Offering Memorandum presents an investment opportunity being made only to a limited number of persons according to an exemption from registration. However, this exemption from formal registration does not abate the requirement for full disclosure by the preparer or sponsor of the investment opportunity. Proper disclosures within the Offering Memorandum will actively and pre-emptively educate any prospective investor about the real estate opportunity and aid in resolving possible future disputes between the company and disappointed investors. Additionally, truthful and fully transparent disclosures will indicate candidness and transparency through an honest disclosure of a criminal history. Preparation of a disclosure document is a critical aspect of any proper offering. An essential element of proper disclosures will serve to protect both the company and its officers in the event future litigation arises from disgruntled investors alleging misrepresentations or inadequate disclosure information. The appropriate disclosure of any and all material information will avoid lengthy and expensive legal battles over verbal or written disclosures about a particular issue. To raise capital, it is critical that all potential partners interpret the primary partner’s fiduciary responsibility from the onset of the endeavor. Fiduciary responsibility is not initiated upon the execution of a partnership document, but rather at the initiation of the business relationship, which is at the onset of any distribution of an Offering Memorandum. A fiduciary responsibility can be broken down into three general categories: Duty of Care, Duty of Loyalty, and Duty of Candor. 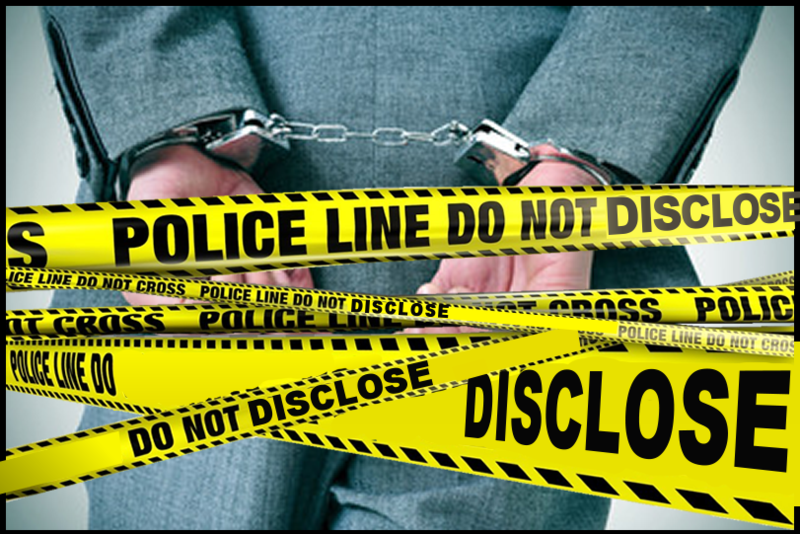 While the disclosure of a previous felony conviction may fall into any of these groups, a partner’s Duty of Candor clearly defines the requirement for full disclosure of any prior convictions, infractions, or complaints. The Duty of Candor principle states that a fiduciary must engage in the accurate and timely disclosure of any and all information related to the operations of the business endeavor. More specifically, this fiduciary principle guides a partner to disclose all real or potential conflicts of interest fully and requires disclosure of all material facts. Clearly, a previous criminal conviction is a material fact related to the investment opportunity, particularly if it addresses the history of a potential Managing Member of the partnership. Therefore, to not disclose a criminal background would be ignoring the fiduciary responsibility inherently and legally placed upon all active or prospective investment partners. In a majority of transactions, our economy is driven by the market principle of “caveat emptor” or “buyer beware.” However, it is critical to understand that this passing of responsibility may not apply to the offering of securities or investments for sale via a public or private Offering Memorandum. Often, real estate opportunities are related to the purchase of a particular building. However, investors are being solicited to contribute capital to a partnership, rather than to buy the tangible asset directly. Therefore, a physical inspection of the property will not adequately ascertain the corporation’s ability to manage the asset successfully. For potential investors to become fully informed on issues that relate to the value of the opportunity, along with an appropriate assessment of the investment’s risk, each prospective investor must adequately assess all material background information about the company and it’s owners. This inspection must include a clear understanding of any and all previous criminal convictions. Properly disclosing every material fact and risk of a real estate investment will ultimately pay tremendous dividends in minimizing future lawsuits and the cost to the company of defending them. In today’s free-flowing information age, there is little chance that a previous conviction, infraction, or complaint will go unnoticed by potential investors. Rather than hide and elude past incidents, address historical actions head-on; indicating lessons learned and new paths to be taken in the future.